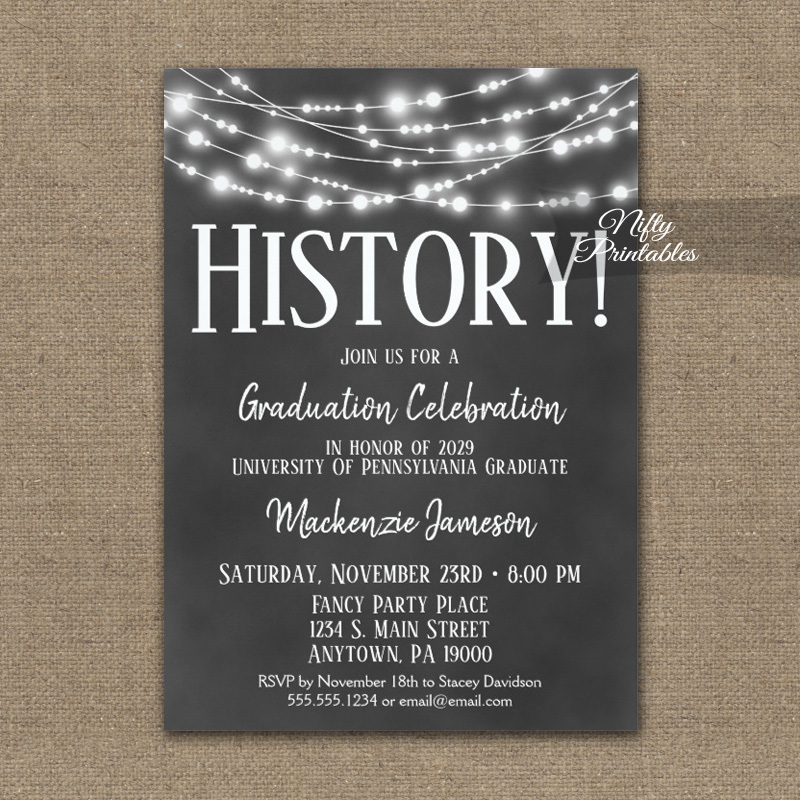 History Graduation Invitation in black and white chalkboard. 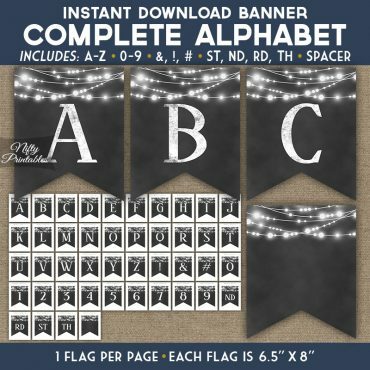 It features festive glowing string lights, large white text, and charcoal black chalkboard background. Cool history degree graduation invitations for your proud graduate.